The year was 1967 and it was the dawn of “the summer of love.” The Beatles album, which continued the group's evolution into psychedelia, seemed to set the tone for that summer. Over the last 50 years, Sgt. Pepper has held up as one of the masterpiece works from the rock era. To mark the milestone, Apple Corps Ltd./Capitol/UMe is rolling out a special remix of the classic album, newly mixed by Giles Martin and Sam Okell in stereo and 5.1 surround audio, a technology not available in 1967. The package will also include early takes from the studio sessions that produced the album, including nearly three dozen previously unreleased recordings. 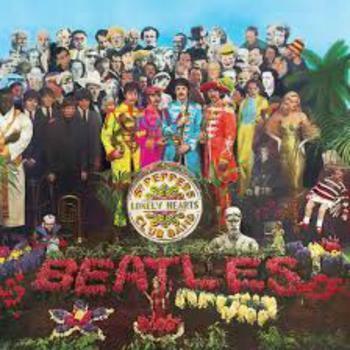 "It's crazy to think that 50 years later we are looking back on this project with such fondness and a little bit of amazement at how four guys, a great producer and his engineers could make such a lasting piece of art," former Beatle Paul McCartney writes in the introduction for the Sgt. Pepper Anniversary Edition. The project will be released in pieces, with the first part – a limited edition seven-inch vinyl single of “Strawberry Fields Forever” and “Penny Lane – scheduled for release on April 22. On May 26, the companies will release the remixed album package. It's the first time the classic Beatles album has been remixed and repackaged. The Beatles released a version of “Let It Be” in 2003 that included remixes. The Sgt. Pepper remix is the result of work by Martin, whose father George Martin produced the original, and Okell, who worked with a team of specialists at Abbey Road Studios. The remix was sourced directly from the original four-track session tapes. The basic product is a CD featuring the album's stereo mix. In addition, there will be a Delux set, containing two CDs, including previously unreleased complete takes of the album's 13 songs. A Delux Vinyl set provides the Delux content on two vinyl LPs and the Super Delux package is a CD box set with 33 additional recordings as well as videos.